Using free internet service Link bunch you could save time and space. 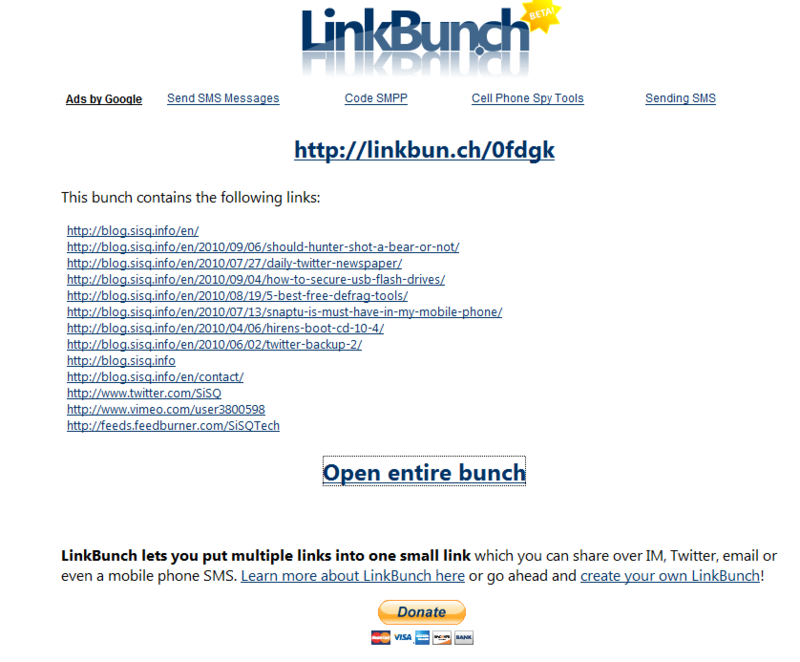 Instead of a bunch of links that you may want to provide via email, IM or Twitter, you could send a single link. Collect the desired URL link, paste to web page, click on the button and Link Bunch creates a unique web page where the selected links are available. By clicking on the Open Entire Bunch windows with desireed links opens. Ip popup windows is blocked, you should temporarily allowed it to open. Of course spam and other illegal contect links are prohibited. HTTP API is also offered. It’s a sham,e that while clicking on open entire bunch links are open in windows instead in tabs. It’s excellent for arrangements thematic links such as learning HTML5 or links related to gardening or a lot of other stuff.